There are two types of feline diabetes - Diabetes Mellitus (sugar diabetes) and Diabetes Insipidus. 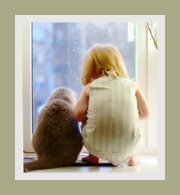 The two cat diseases should not be confused. Whilst they may bear the same name and often present with similar symptoms, the two diseases are very different. This disease is commonly called sugar diabetes. 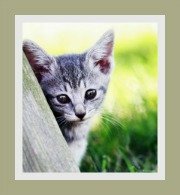 It is a disease that affects the endocrine system (name given to the glands that control or produce hormones) and is a complex, but fairly common disease in cats. In short, it is a condition where the cat is unable to regulate or control its blood glucose (i.e. blood sugar). This is due to the body either not utilizing the insulin it produces or the body not producing sufficient insulin. The result of this is an abnormally high blood sugar level. 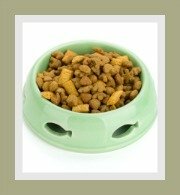 Simply put - in a healthy cat, food is ingested and thereafter digestion takes place. Glucose (sugar) then enters the blood stream. In response to this, the pancreas will release the hormone insulin. Insulin regulates the metabolism of fats and carbohydrates and assists the muscle, fat and liver tissue to take up the blood glucose. This cat diabetes is also referred to as insulin-dependent diabetes. It is caused by the pancreas producing and secreting inadequate amounts of the hormone insulin. As the body is unable to take up glucose from the blood, insulin needs to be provided either in the form of tablets or injections. Cat diabetes affects up to 3 in 1000 cats. Type-I diabetes is the most common and accounts for about 80 % of the cases of diabetes in cats. This form of the disease is characterized by the body's cells having an inadequate response to the insulin that is being produced. Type II cat diabetes is non-insulin dependent. The Type-II diabetic cat will rely on a diabetic diet to control this form of feline diabetes - (i.e. low calorie; high fibre diet). Certain cat breeds e.g. 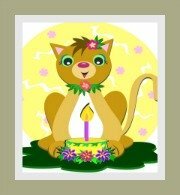 some Burmese cats appear to have a higher incidence of developing feline diabetes. 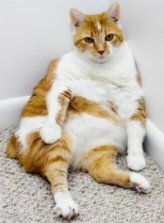 An overweight cat is more likely to develop cat diabetes. Male cats appear to have a higher propensity for developing cat diabetes. Diabetes is more common (and on the rise) in geriatric cats or cats over 7 years of age. due to acromegaly (pituitary gland produces excess growth hormone); hyperthyroidism (thyroid gland produces excess thyroid hormones) and Cushing's Syndrome (body exposed to high levels of the hormone cortisol). The long term or continued use of certain medication can affect the pancreas and reduce the production of insulin. Corticosteroids (cortisone) for treating inflammation amongst other conditions may also cause pancreatitis and affect the production of insulin. It is critical to identify feline diabetes symptoms early on and to seek the advice of a veterinary practitioner for an accurate diagnosis. 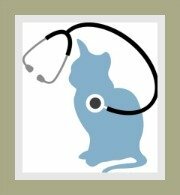 Take a look at the chapter on cat diabetes treatment and its prognosis. The pancreas is an endocrine gland situated in the upper abdomen and located next to the liver, duodenum and stomach. To produce enzymes that assists with the digestion of food. The beta cells in the pancreas produce insulin. 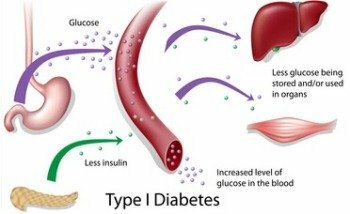 Insulin is a hormone that assists the cells of the body to utilize glucose thereby regulating blood sugar - insulin regulates high glucose levels. 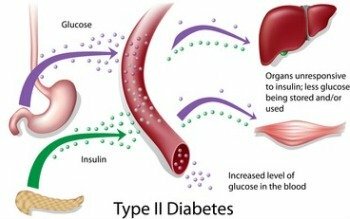 Glucagon is also produced by the pancreas and this hormone also regulates blood glucose levels - glucagon is released when the blood sugar is too low. With this in mind, it stands to reason that any major damage to the pancreas that results in an over or under production of insulin or glucagon may result in life-threatening cat illnesses. The anti-diuretic hormone (ADH), also known as vasopressin, is produced in the hypothalamus of the brain and stored in the pituitary gland. In diabetes insipidus the pituitary gland fails to secrete the anti-diuretic hormone, vasopressin and this results in the kidneys not being able to conserve water or controlling the concentration of urine. In certain instances, it may also result from the kidneys for some reason not reacting to the hormone vasopressin. The kidneys are responsible for eliminating waste products by filtering the blood. 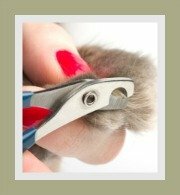 A failure of removal of waste from the body can be fatal to the health of the cat, but can be treated successfully. Diabetes Insipidus is a rare cat disease.